Key indicators for the local impact of global climate change include an accelerated rise in sea level and changes in regional precipitation patterns. Decreased precipitation is expected to be the most significant effect on Palestine-Israel over the course of this century, accompanied by a significant rise in average temperatures. The combination of decreased rainfall and rising temperatures will result in a higher demand for water (already an overexploited resource) that will be in increasingly short supply and could lead to water insecurity. Agriculture, which is a cornerstone of the OPT’s economy, will also suffer as a result. Moreover, despite the effects of climate change being broadly similar across the territory, much of the political focus and available research incorrectly treats the OPT as divorced from historic Palestine. Not only does this delineation ignore the Palestinian body politic, it also puts occupied Palestine – a state with non-sovereign status – in the strange position of “having to represent the future of a structure that attempts to erase them,” as Stamaptopoulou-Robbins writes. While this brief focuses primarily on the effects of climate change in the West Bank and Gaza Strip, it recognizes the inconsistencies in knowledge production that isolate the OPT from its wider political and geographic context. Henceforth, “Palestinians” refers to Palestinians under occupation in the West Bank and Gaza. Vulnerability to climate change is determined by a combination of climate risk and adaptive readiness – in other words, the level of risk from climate change versus the ability to carry out short- and long-term responses, which depend on socioeconomic and political conditions. In the case of Palestine-Israel, vulnerability should be understood in the context of seven decades of Palestinian displacement, dispossession, oppression, and poor governance. Even in the absence of changes to the natural environment, millions of Palestinians are already refugees who are heavily reliant on aid from the United Nations Relief and Works Agency and other humanitarian organizations, millions of whom are beyond the purview of the PA. Palestinians in Gaza are undoubtedly the most vulnerable due to Israel’s military siege and sanctions, now in their twelfth year. The OPT is unique in that climate planners must use the vulnerability framework to evaluate the uncertainty of both climate risks and the occupation. The vulnerability assessment in the PA’s 2016 National Adaption Plan (NAP) presents a range of risks, including water and food security and the paucity of quantitative data for identifying and prioritizing vulnerabilities and adaptation options. A somewhat overlooked vulnerability in the NAP is rapid population growth and urbanization; high population density results in a high degree of exposure to environmental change and an increased concentration of climate risk. The average population density in the West Bank is 468 people per km2, higher than in neighboring countries. In 2017, there were approximately five million Palestinians in the OPT (approximately three million in the West Bank and East Jerusalem, and 1.8 million in the Gaza Strip). The population is estimated to reach 14 million by 2050 – or more, if any refugees currently in exile are able to exercise their right of return. The population is also young: Almost 40% of Palestinians are under 14, and unemployment is extremely high: 27% overall (18% in the West Bank, and 42% in Gaza) as of 2016. The OPT’s GDP per capita at the time of writing is only $1,997, in contrast to Israel’s $34,134. Nonetheless, the single greatest non-environmental risk facing Palestinians in the OPT is the Israeli occupation, to the extent that the United National Development Programme (UNDP) considers it an environmental “risk” in its own right. Restrictions on the free movement of people and goods, the Apartheid Wall, land grabs, settlement expansion and settler violence, and poor PA governance all threaten Palestinian water and food security and consequently increase climate change vulnerability. Palestinians have developed some short-term coping methods in response to this pervasive Israeli control. In Gaza, for instance, the use of raw sewage for agricultural irrigation and the drilling of wells has delayed imminent disaster; however, this has come at the cost of reduced long-term sustainability and extreme risk to public health. The occupation has thus led to maladaptive policies and practices that undermine Palestinian resilience and readiness to the threat of climate change. By contrast, Israel is well positioned to adapt to the effects of climate change and is therefore less vulnerable. According to the ND-GAIN Country Index, which summarizes a country's vulnerability to climate change as well as its “readiness” to improve resilience, Israel is the 19th least vulnerable country and the 32nd most ready country to deal with climate change (the OPT does not feature). The adaptive disparity between Israel and the PA is purely political. Israel’s preparedness is partly the result of a binding government decision in 2009 to establish a national adaptation plan. This process produced the Israeli Climate Change Information Center (ICCIC), which compiles scientific knowledge and policy documents to feed into national planning. The ICCIC’s stated goal is to “mainstream adaptation strategies in master plans and action plans in such fields as water, energy, biodiversity, agriculture, public health, sustainable building, and more,” working with 16 relevant ministries. Israel’s climate policies are not limited to adaption. Ahead of the Paris Climate Change Conference in 2015, Israel declared an emissions reductions target to be reached by 2030, which included a 17% reduction in electricity consumption and the generation of 17% of consumed electricity from renewable energy sources, as well as a 20% reduction in transportation emissions. In 2016, the Israeli government approved a national plan to mitigate greenhouse gas emissions and to increase energy efficiency. These stark, man-made disparities between Israel and the OPT are too often overlooked. The international community views Israel as a technologically advanced nation and a pioneer of green governance. But this reputation is at odds with the adverse environmental policies inflicted on the occupied Palestinian population and the continuous theft of resources. The Palestinian Authority has no sovereign jurisdiction over its natural resources or large swathes of its territory, and wields no independent political will over how to manage climate risks. Yet, paradoxically, it is tasked with addressing climate change. This renders the PA’s adaptive efforts largely insignificant and counterproductive. Internally, the PA is poorly equipped to support long-term adaptation, a challenge that demands political support, inter-ministerial collaboration, and considerably greater fiscal resources than are currently available. It also faces major governance issues with regard to climate change adaptation planning, from the limited capacities of national agencies to weak local authorities. Moreover, the political rift between Hamas in Gaza and Fatah in the West Bank and the divided leadership across the Palestinian territories deepens stagnation and managerial weakness. This is compounded by the fact that many states, donors, and UN agencies have a limited or no-contact policy with the Hamas government in Gaza. Accordingly, they usually implement projects with PA officers in Gaza and NGOs, hindering the ability to conduct adaptation programs. There are also significant challenges around collecting robust data, particularly in Gaza where gaining access for statistical and expert work is extremely difficult. In 2011, the PA’s Environment Quality Authority developed a “National Climate Change Adaptation Strategy” with support from the UNDP, the London School of Economics, and other PA agencies, with an updated version – the NAP – published in 2016. The updated report estimates the total cost of its proposed agriculture and water adaptation options to be in excess of $3.5 billion over the next ten years. Where this money will come from is unclear; the report states that the PA hopes to secure “substantial financial support from international donors.” So far, funding has proved difficult to obtain, despite the fact that there is growing international support for and recognition of Palestinian adaptive efforts. The State of Palestine (recognized as a non-member observer state by UN General Assembly Resolution 67/19) became a party to the UNFCCC in March 2016 and ratified the Paris Agreement in April 2016; the PA then submitted the National Adaptation Plan to the UNFCCC in November 2016. 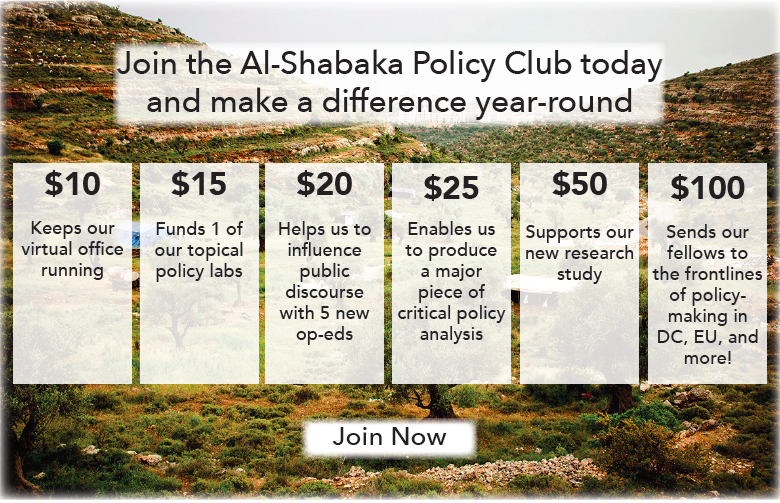 However, this relationship between the PA and the international community warrants scrutiny: By applying the same metric to assess PA and Israeli readiness to handle climate change, the international community and donor agencies normalize the occupation instead of treating it as an abnormal and debilitating structure. Furthermore, an “epistemological shift from occupation as injustice to occupation as hazard” has developed, in which the occupation is increasingly framed as an apolitical problem linked to poverty, instead of an intentional obstruction of human rights and self-determination. This both depoliticizes and decontextualizes the realities of climate change in the OPT, making occupation merely one “ordinary” vulnerability among many that the PA must address. A further paradox is that, despite being unable to predict or curtail the occupation, the PA tries to plan decades into the future. According to Stamaptopoulou-Robbins, adaption projects are an exercise in statecraft, allowing Palestinian engineers, researchers, and bureaucrats to dictate the “shape, territorial boundaries, and economic life” of the OPT’s future and make assertions of its readiness for statehood. They do this by deciding what constitutes “important” issues in international fora such as the UN and by presenting the occupation as a fixture of any future reality – all the while being a state without sovereignty or certainty. Climate change will affect most sectors of the OPT’s economy, but one of its greatest casualties will be water availability and quality. First, freshwater resources – surface and groundwater – will become more scarce as rainfall decreases. This will make it harder to replenish aquifers during periods of high population growth while simultaneously intensifying competition for water from Palestinian agriculture, illegal Israeli settlements, and industry. Reduced rainfall will also make extracting water more costly and energy intensive. Higher temperatures and increased sediment may threaten the quality of drinking water, given limited treatment facilities. Second, since climate change increases the likelihood of intense, short periods of rainfall, as opposed to an extended wet season, flash floods are highly likely. The OPT’s existing infrastructure is not capable of supporting heavy rainfall, which could lead to flooding in urban areas due in part to inadequate drainage and sewage systems. Water is not an apolitical resource. The occupation strains water resources and affects areas from health to industry. Palestinians’ main source of drinking water is stored groundwater, and Palestinians rely heavily on aquifers. The western, northeastern, and eastern aquifers are in the West Bank, while in Gaza, the only source of water is the coastal aquifer, which has been subject to over-extraction and pollution in recent years, risking depletion as early as next year. 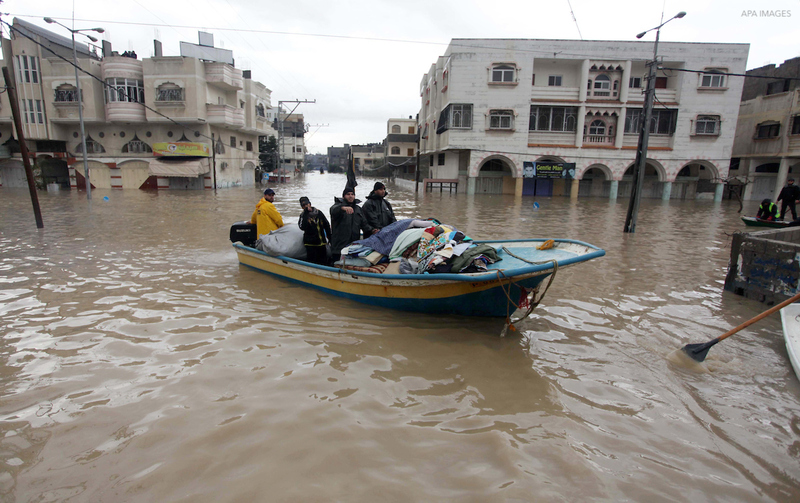 This is in addition to rising sea levels and the intrusion of seawater, given that Gaza lies on the Mediterranean coast. Israel has created a complicated bureaucracy of licensing, permits, and access rights designed to control and selectively curtail Palestinians’ access to groundwater. It does this under powers granted by the 1995 Oslo II Accord – initially intended as a five-year arrangement, and still in place 24 years later – which granted Israel control over approximately 80% of water reserves in the West Bank. The PA, citing the inequities written into the Oslo Accords, is seeking water rights over mountain aquifers. Israel exacts control over water through the Joint Water Committee (JWC), which prohibits any water-related decision without Israeli approval. Surface water (from rivers, streams, creeks, lakes, and reservoirs) comes from the Jordan Valley, the Dead Sea, and the Jordan River, which the JWC prohibits Palestinians from accessing and whose discharge is estimated to decrease significantly over the coming years. Palestinians are also riparians of the Jordan River, affording them water rights. However, since Israel has full control of the headwaters of the Jordan River, Palestinians have no access. The JWC has also denied permits to Palestinians seeking to capture runoff water in dams. Meanwhile, there are only a few wastewater treatment facilities in the West Bank and hardly any of the treated water is reused in agriculture. Developing new water access or repairing infrastructure is extremely difficult: Israel grants few permits and demolishes buildings and wells made without them. In addition to preventing enough clean water from entering the Gaza Strip, Israel hinders any attempt to build or maintain water infrastructure, such as reservoirs, by restricting imports of fundamental building materials. The results are deadly: 90-95% of the water in Gaza is contaminated and unfit for drinking or irrigation. Contaminated water accounts for more than 26% of all reported diseases in Gaza and is a leading cause of child mortality, at more than 12% of child deaths. The upshot of these measures is significant. According to the Applied Research Institute–Jerusalem (ARIJ), only 81% of Palestinian localities in the West Bank are connected to the water network, leaving 65% to rely on water tankers, whose water is three to six times more costly than piped water and often poor quality; rainwater collection; bottled water; and wells. Even those households that are connected to the network often rely on these other sources because of the inconsistency of the water network. ARIJ estimates that only 50.9% of households in the West Bank have access to water on a daily basis. In Gaza, only 30% of households receive a daily water supply, which often stops altogether during wartime. Combined, this means that the OPT has some of the lowest per capita water availability in the world, at 72 liters per capita per day in the West Bank and 96 liters in Gaza, both less than the 100-liter minimum recommended by the World Health Organization. Palestinians not connected to a water grid – such as communities located in Israeli-controlled Area C – often live on just 10-20 liters per capita per day for all uses. In stark contrast, Israel’s 600,000 illegal settlers use six times more water than the entire Palestinian population in the West Bank – some three million people. Settlements use as much as 700 liters per capita per day for domestic use (or more, for amenities like swimming pools and lawns). Additionally, the destructive actions of settlers, who frequently destroy Palestinian property and infrastructure, further intensify Palestinian vulnerability. A range of adaptation options for the OPT are possible, including flood contingency plans; protection of coastal sand dunes in Gaza (which would safeguard the aquifer from salination); rehabilitation of wells and other water sources; and limitation of leakage from pipes – as water loss through leaking and illegal connections is high. According to OECD data, the international community has been funding projects related to water supply and sanitation in the OPT; in 2017, there were 19 such projects. Yet no project will achieve a lasting impact while the occupation continues. The reallocation of water rights from Israelis to Palestinians is an essential first step, as is ending the siege on Gaza to allow clean water and construction materials for wastewater treatment plants and desalination plants to be imported. Desalination of seawater is often touted as an attractive technology to combat dwindling groundwater resources: It increases the quality and quantity of water available and widens the scope for wastewater recycling. Israel has a well-developed desalination program on its Mediterranean coast to supply its citizens. However, desalination is energy and emissions intensive, as well as expensive – thus it is unlikely that Palestinians could afford it. In addition, Palestinians in Gaza are forbidden from importing the materials to build desalination plants through the dual-use list, while the PA in the West Bank is hindered by project-approval hurdles imposed by the JWC and well-drilling restrictions imposed by the Oslo Accords. Desalination also raises concerns about power asymmetry in technological solutions, namely who controls the technology and how it gets apportioned. Agriculture is a bedrock of Palestinian society. About 60% of the West Bank population lives in 500 rural villages, which are less connected to centralized infrastructure and more dependent on the surrounding area for economic productivity. Economically, agriculture accounts for 11.5% of employment and 21% of all exports, covering 21% of total land (85.6% in the West Bank and 14.4% in Gaza). Olives (and their derivatives in food, soap, fuel, and crafts) are a staple in Palestinian homes: As of 2010, olive groves comprise 85.3% of all trees in the OPT, and the olive sector contributes 15% of total agricultural income. Culturally, agriculture holds deep symbolism in Palestinian identity, with the farmer (fallahi) and the olive tree representing Palestinians’ rootedness to the land. Changing rainfall patterns due to climate change pose great risk to the OPT’s agricultural productivity, as an appropriate balance of water, heat, and sunlight is imperative for efficient crop growth. About 85% of Palestinian agriculture is watered by rain, and approximately half of the water extracted from groundwater wells is used for agriculture. Increased droughts and desertification will thus directly affect the productivity of crops and livestock, while shorter growing seasons and increased water requirements will lead to higher food prices. These effects are particularly dangerous as there is already widespread food insecurity across the OPT. 5 In 2014, approximately 26% of households were considered either “severely or marginally” food insecure, rising to 46% in Gaza. In Gaza, rising sea levels and saltwater intrusion will harm low-lying coastal agriculture, which makes up 31% of Gaza’s total agricultural production, and will threaten food security in the already vulnerable enclave. Farmers and herders will also see their incomes and profits decline, threatening their agrarian way of life and increasing the likelihood of falling into debt and structural poverty. The occupation damages Palestinian agriculture through land theft and population control. Israel’s expanding settlements and settler-only roads are deliberately built in key strategic locations, including on arable lands in Area C. Israeli restrictions on movement and controlled access to grazing land are further causes of the OPT’s relatively low overall yield, which is less than half of neighboring Jordan. Along with over 400 checkpoints or roadblocks in the West Bank, a complicated permit system, and the Apartheid Wall, Palestinian farmers not only have less land available for agriculture, but are also denied access to tend to it. There are various adaptation options available to limit the effects of climate change on agriculture. In the West Bank, these include better water-efficiency and land-use planning. In Gaza, water-efficiency and community-level support and training would help offset the impact of overexploitation of limited resources exacerbated by climate change. The international community (mostly European countries) funds various agricultural projects in the OPT. A 2017 Swiss Agency for Development and Cooperation program, for instance, aimed to ensure small scale producers’ entitlement to natural resources and access to markets. All the same, without an end to the occupation and blockade, adaptive strategies will have a very limited impact. Climate change in the OPT must be dealt with as a high priority. In practice, this means the introduction of a range of interim measures in the OPT’s water infrastructure and agriculture sector that reflect political and technical realities. The restrictions imposed by the decades-long Israeli occupation are the greatest challenge Palestinians face, both economically (lack of free movement of goods and people) and politically (absence of Palestinian self-determination and sovereignty), destabilizing the already climate vulnerable population. The clearest path to resilience requires an immediate end to the occupation and the lifting of the siege in Gaza, as well as concerted efforts to integrate the OPT into the wider Palestinian body politic. The increasingly extremist position of the right-wing coalition in the Israeli Knesset make these suggestions unrealistic in the short term, particularly because the occupation is a financially profitable enterprise that allows Israel to dominate the OPT’s natural resources while destroying or preventing the construction of necessary Palestinian infrastructure. A crucial first step is water reallocation. This would entail releasing the PA from the shackles of the water clause in the Oslo Accords and granting Palestinians full and uncompromising access to their aquifers and the Jordan River. To do this, the international community must constrain Israeli aggression toward Palestinian natural resources. Without external political pressure, there is no incentive for Israel change its policies. Civil society also has a duty to expose Israel’s Janus-faced environmental policy that promotes environmental reform and new technologies on the one hand, while stealing from and depriving Palestinians of their water and natural resources on the other. 1. The international community must exert pressure on Israel to punish settler violence that damages Palestinian people and property, as well as draw a red line at settlement expansion in accordance with UN Resolution 2334. 2. The PA and civil society should actively promote and enable sustainable agriculture, agroecology, and a cooperative economy that can foster more sustainable resilience. For example, Palestinian agricultural workers should (re)establish agricultural cooperatives to represent their interests and concerns and share best practices for dealing with the shortcomings of climate change effects under occupation. 3. The PA and partner organizations should work toward coordinated collection, analysis, and sharing of climate-relevant information. This includes focusing on local-level climate data to provide real-time updates and monitoring, with the ultimate goal of establishing a permanent, real-time climate-impact monitoring system across the OPT. 4. The PA and partner organizations should prioritize the development of policies and practices that minimize the risks from natural disasters as the “first institutional defense” against climate change. 5. Since Palestinian society relies heavily on international donors, donors should work with the local community to finance targeted projects to counter or prevent the effects of climate change. However, there is much criticism of the aid and NGO architecture in the OPT, and incorporating climate vulnerability into this framework is not without ethical concerns. Interventions focusing on ending the occupation are paramount. 6. The foundations of Israel’s advanced resilience methods and technology, such as desalination best practices, should be shared with Palestinian stakeholders as compensation for Israel’s theft of Palestinian land and resources and also because climate change is a global phenomenon and all people should have access to adaptive technologies. However, measures should be put in place to ensure that technology transfer does not foster dependency among Palestinians, nor should it be used to undermine Palestinian water or land rights. These strategies are short- to medium-term fixes that are meaningless unless accompanied by robust local and international efforts to end the occupation. Climate change is a global threat of catastrophic proportions, and the communities that will suffer most are determined by man-made political and economic factors. For Palestinians, who will commemorate 71 years of the loss of their homeland this May, climate change is neither an apolitical nor equalizing phenomenon but one exacerbated by their condition as an occupied people. 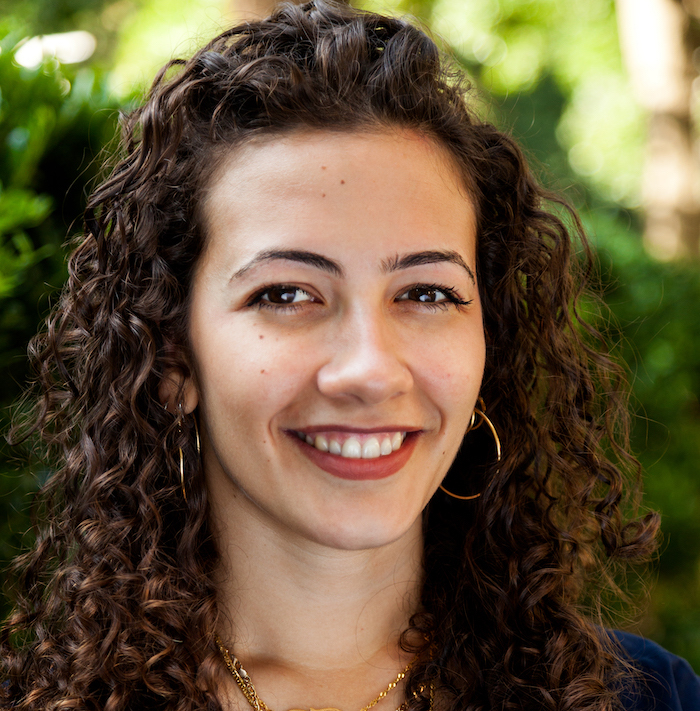 Zena Agha is Al-Shabaka's US Policy Fellow. Her areas of expertise include Israeli settlement-building in the occupied Palestinian territory with a special focus on Jerusalem, modern Middle Eastern history, and spatial practices. She has previously worked at the Economist, the Iraqi Embassy in Paris, and the Palestinian delegation at UNESCO. In addition to opinion pieces in The Independent, and The Nation, Zena’s media credits include the BBC World Service, BBC Arabic and El Pais. Zena was awarded the Kennedy Scholarship to study at Harvard University, completing her Master’s in Middle Eastern Studies.